The Idaho Library Awards committee recognizes outstanding contributors to all types of libraries across the state. The Idaho Book Award committee chooses one book by an Idaho author or featuring an Idaho setting. The committee seeks new readers every [month of the year]. LiLAC's goal is to develop sustainable leadership development activities for the Idaho library community. We are made up of librarians from all across the state of Idaho. 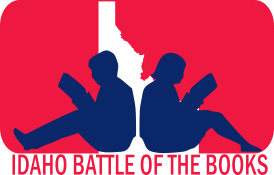 Idaho Battle of the Books, or IBOB, is a statewide voluntary reading motivation and comprehension program open to all Idaho students in grades 3-12, regardless of ability. IBOB is meant to expose students to quality literature representing a variety of literary styles and viewpoints. The mission of the program is to encourage and recognize students who enjoy reading, share the love of reading with students who have not yet discovered that for themselves, broaden reading interests, increase reading comprehension, promote academic excellence, and promote cooperative learning and teamwork among students.